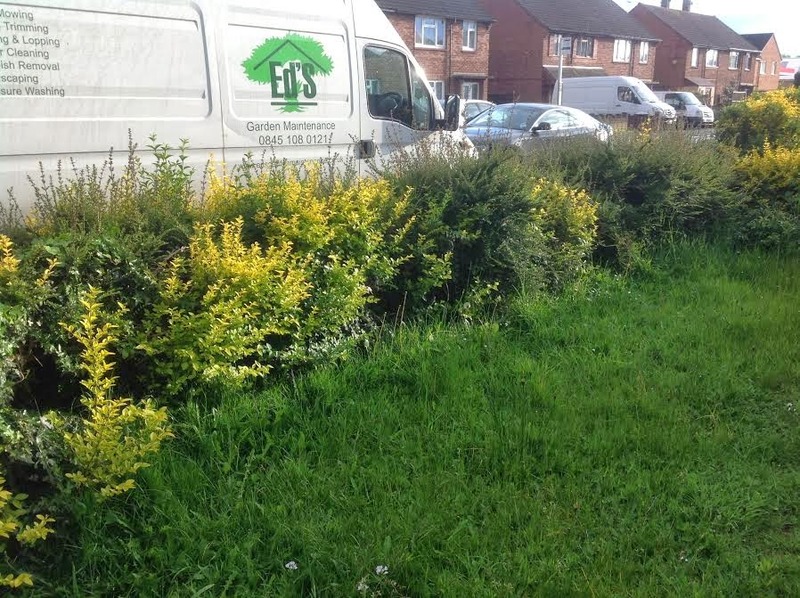 Please contact Ed’s for a free estimate we aim to offer a prompt, reliable and efficient service. 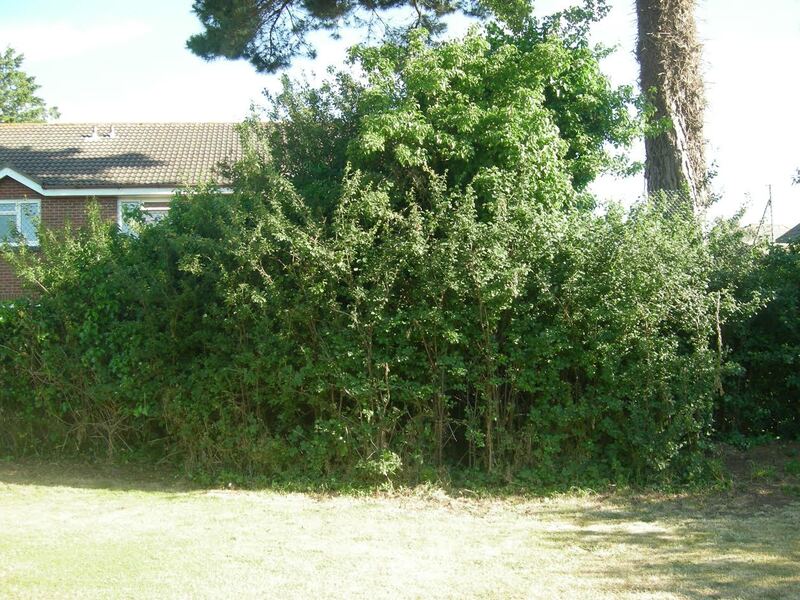 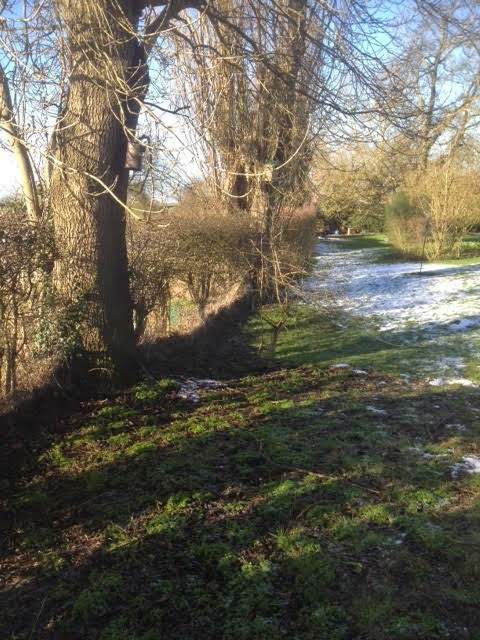 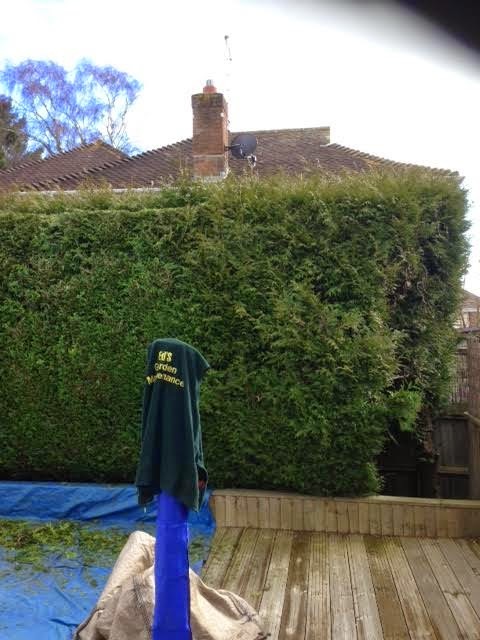 Richard our Ed’s Operator in St Ives Cambridgeshire recently rejuvenated an old hawthorn hedge, which in parts had become overgrown with ivy. 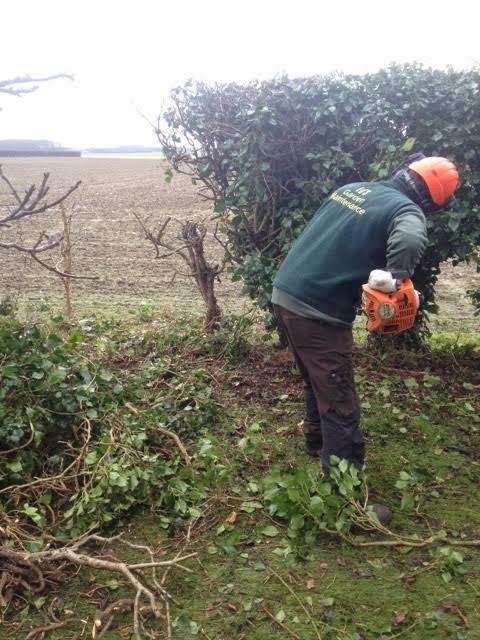 Richard, who recently completed his chainsaw maintenance and cross cutting course made use of power tools to cut through the ivy which in some areas had trunks as thick as the original hawthorn. 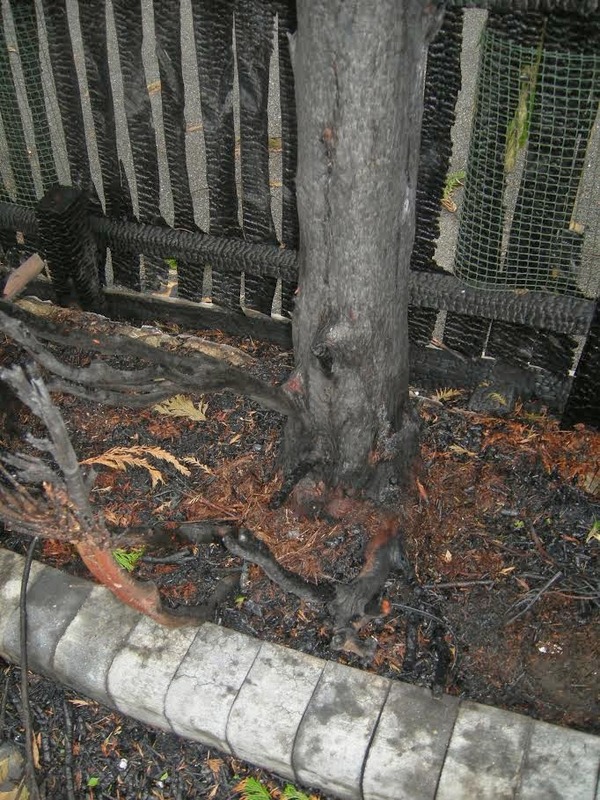 In other areas, the hedge needed patching with new, four year old hawthorn plants. 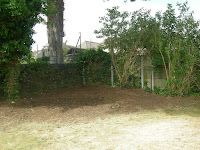 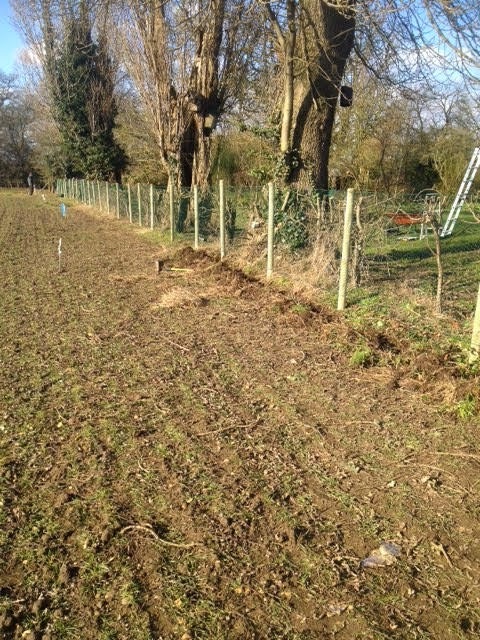 Once the hedge was cleared and tidy, 50 metres of fencing was erected on the field side, with the base buried below soil level to exclude rabbits from the garden. 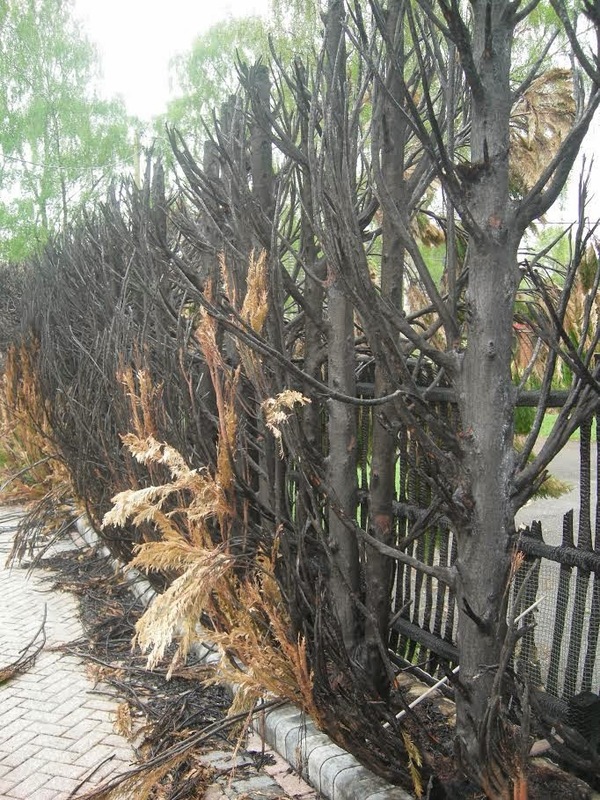 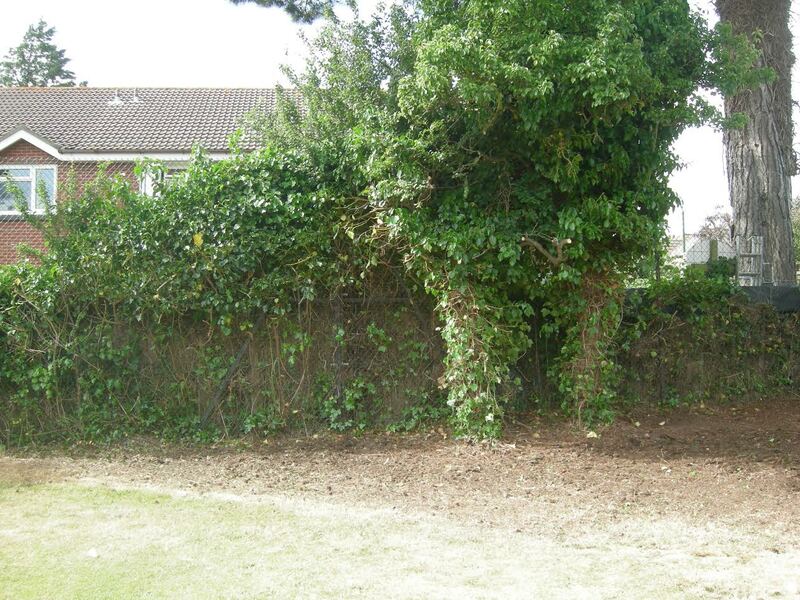 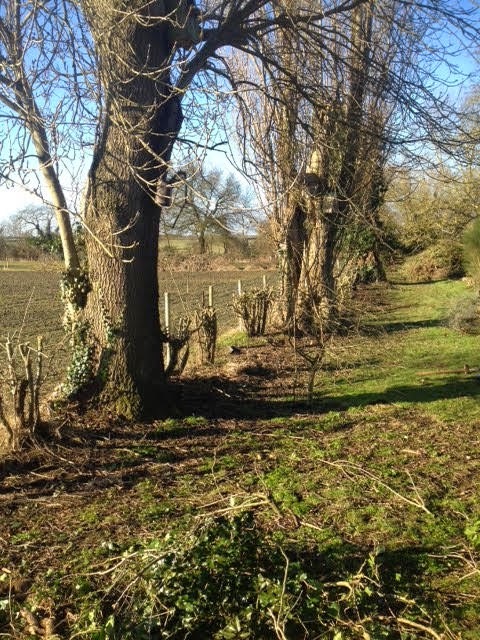 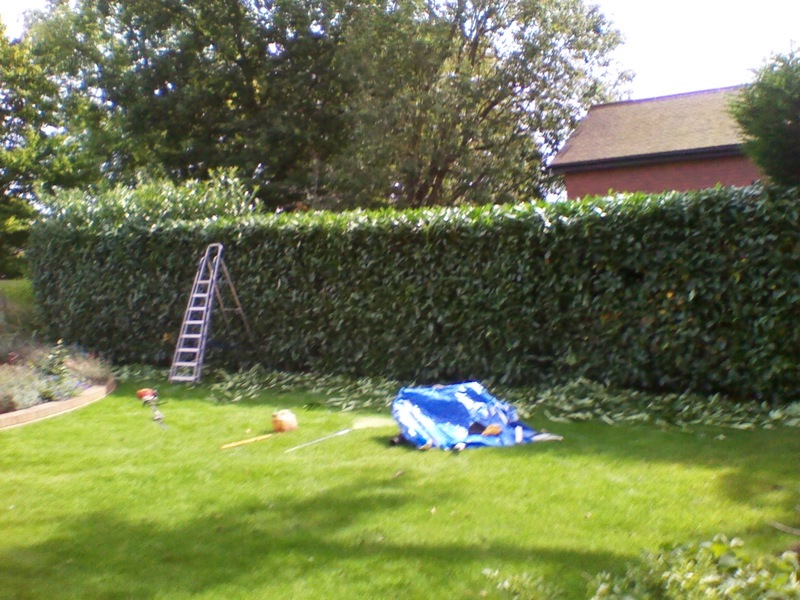 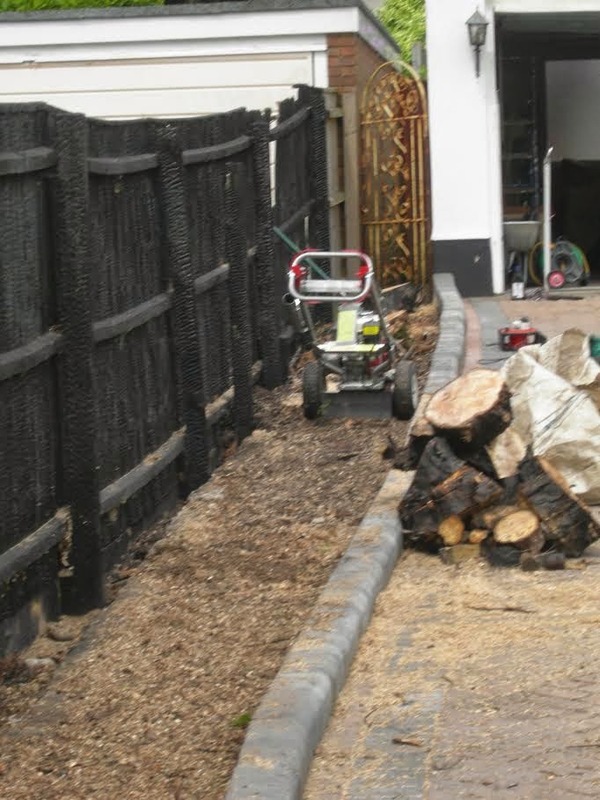 Richard said the job was very satisfying, and looks forward to seeing the hedge come back to life in the spring. 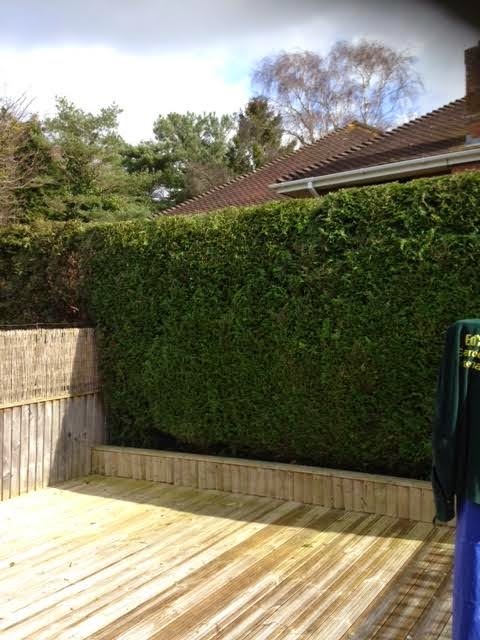 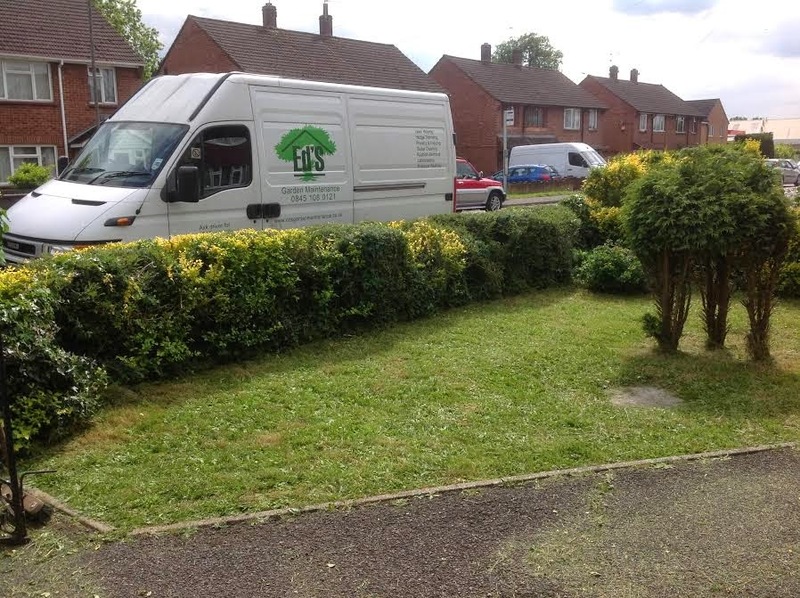 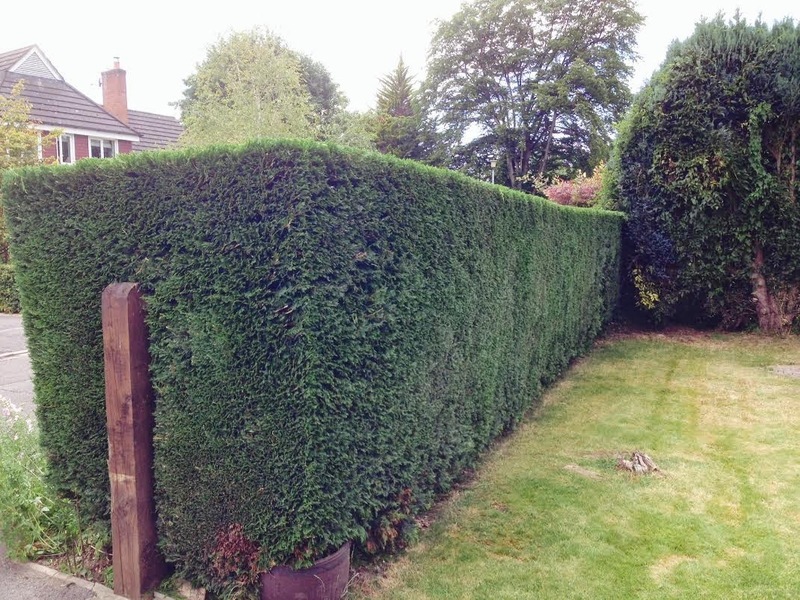 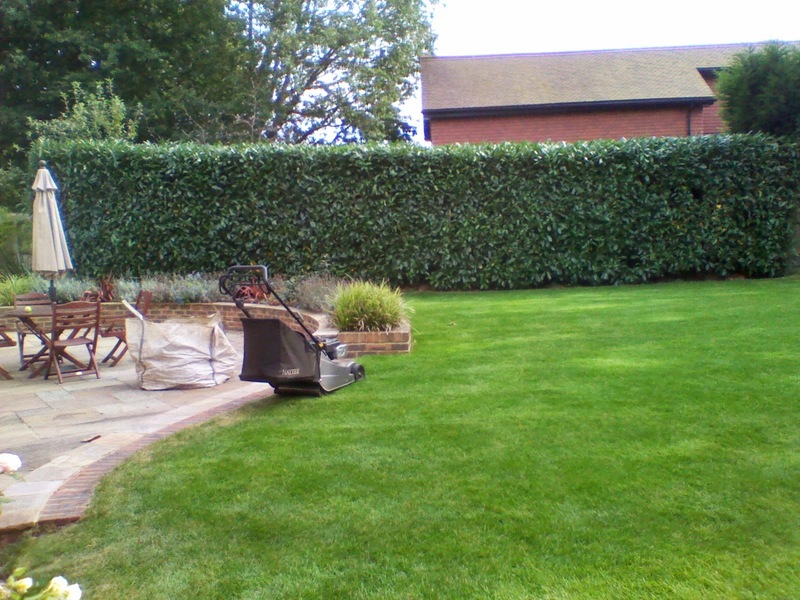 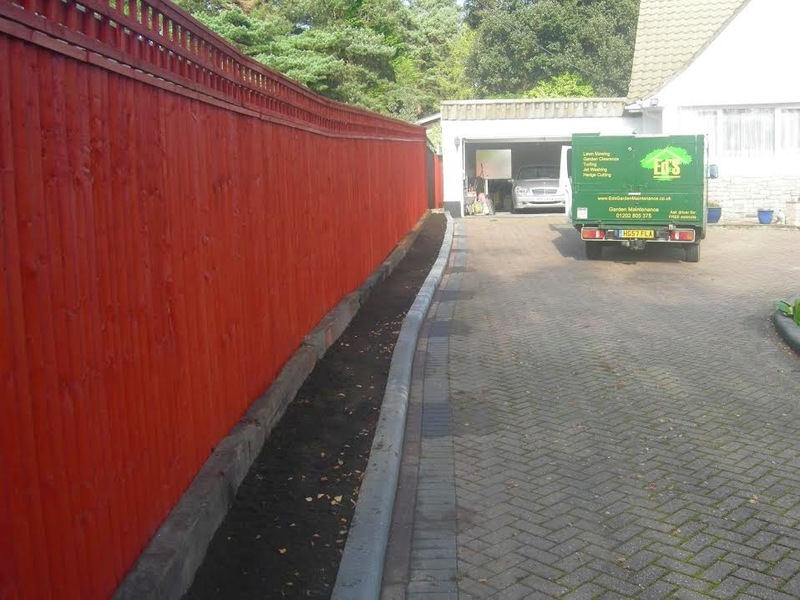 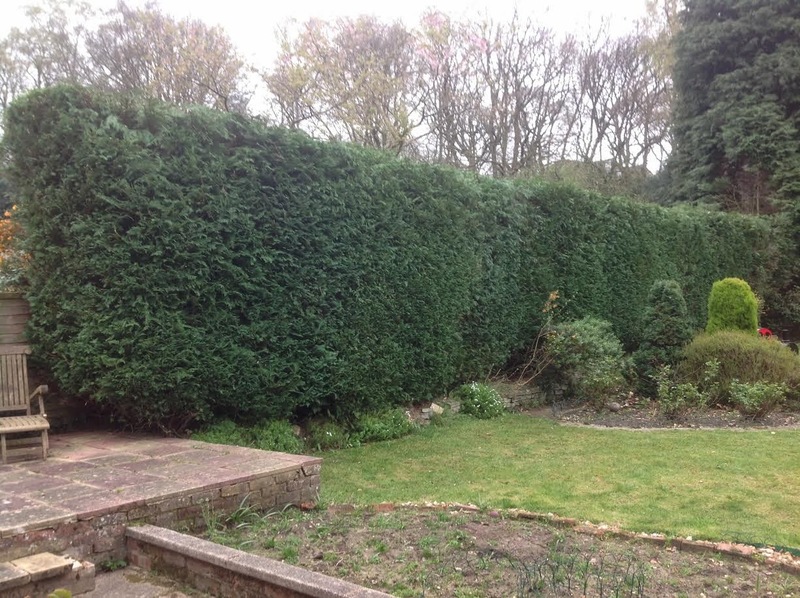 Ed’s Garden Maintenance Operator Guy who covers the Bracknell area sent in these photographs of a hedge he cuts twice a year to maintain this shape. 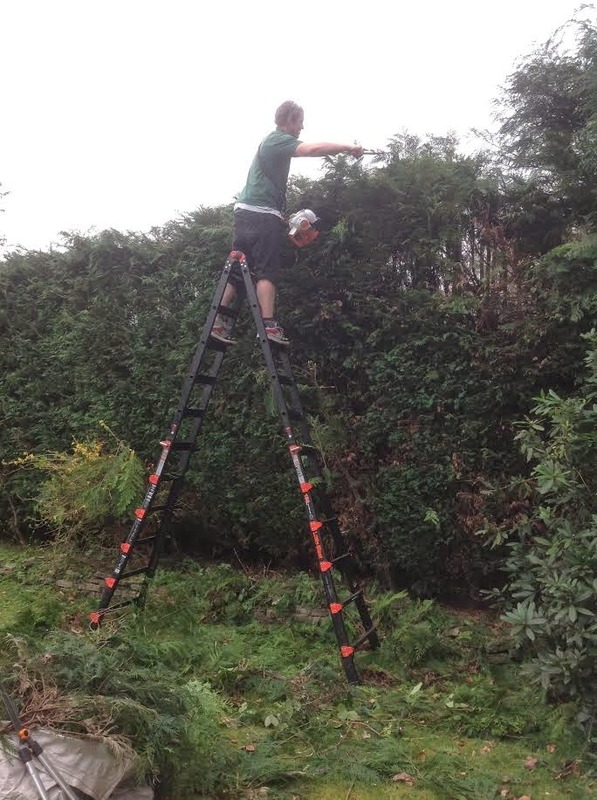 Guy’s top tip is to always have a sharp blade. 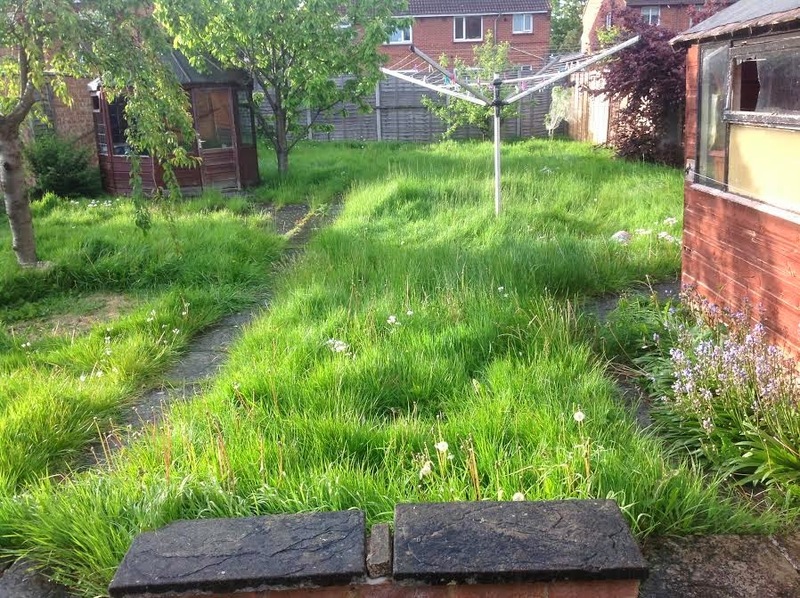 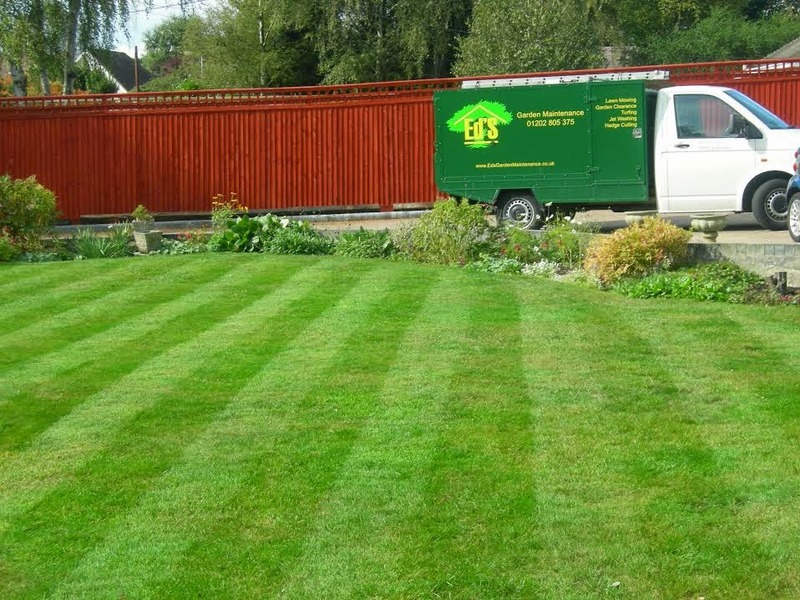 Please contact Ed’s for a free estimate if you require any garden maintenance. 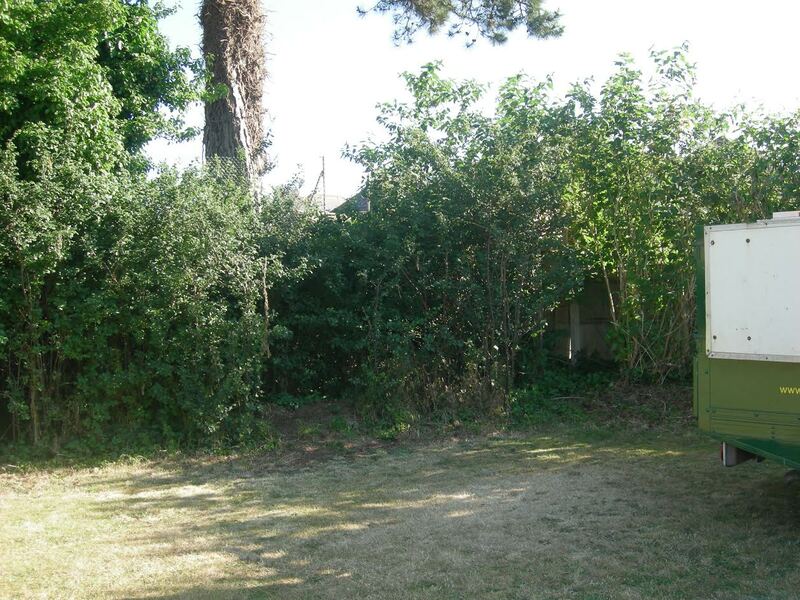 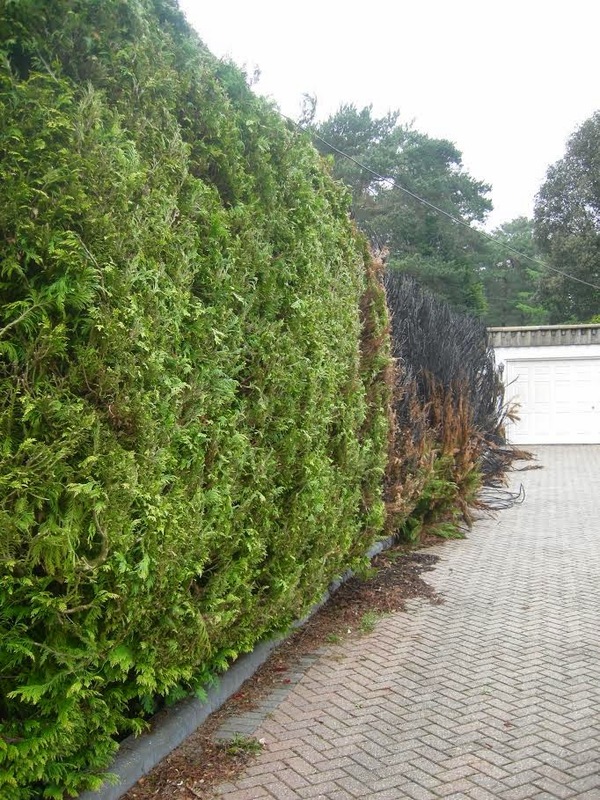 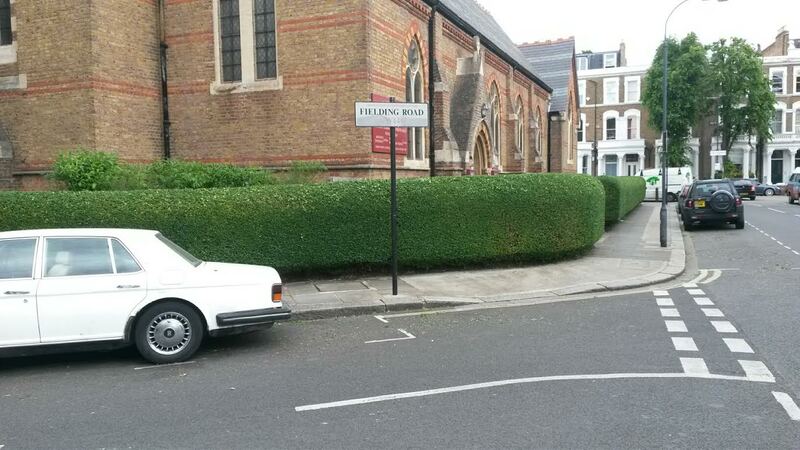 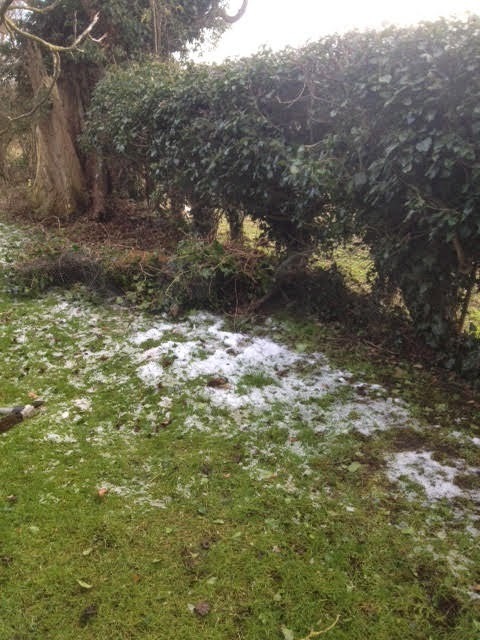 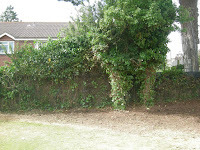 Ed’s Garden Maintenance Operators Pierre and Penny sent in these photographs of a hedge they recently trimmed. 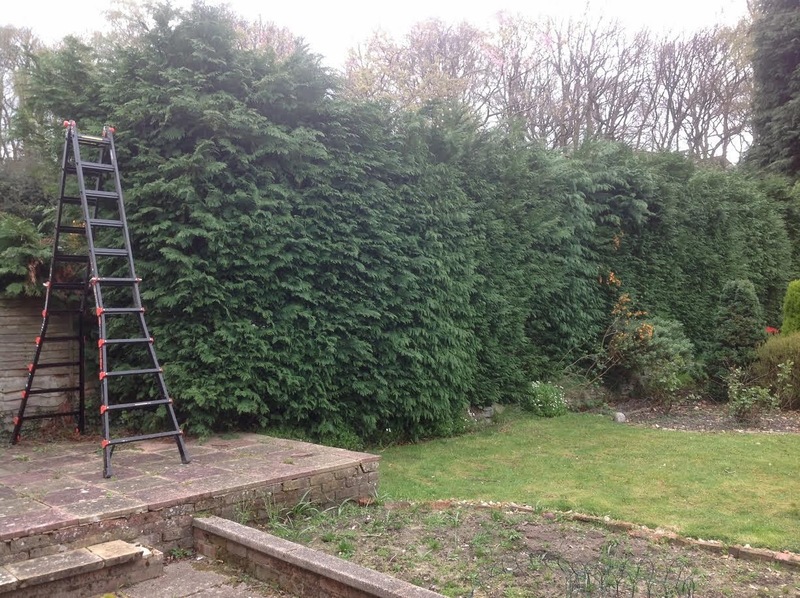 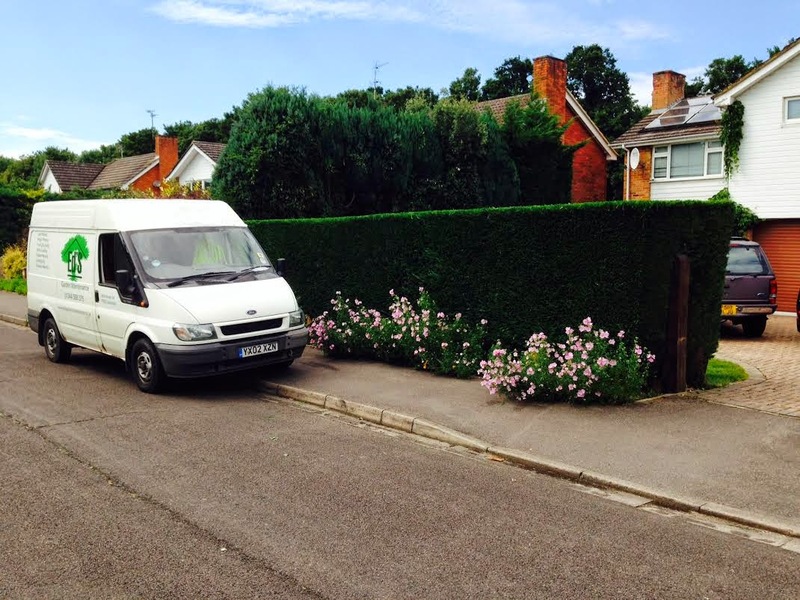 The request was to tidy a hedge and fortunately they carry the right ladder for a tall hedge in the van. 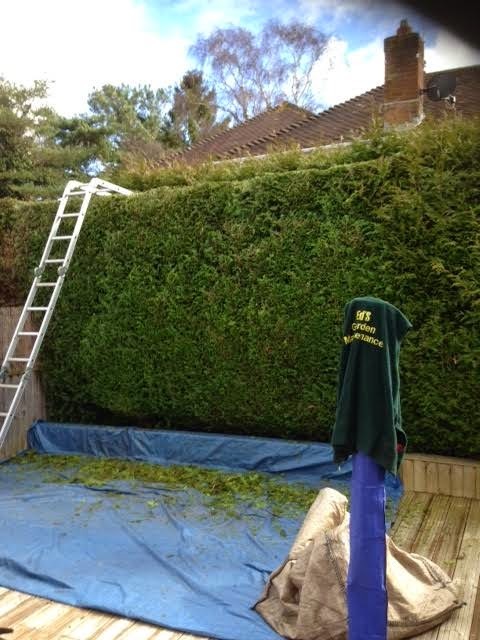 The customer was very happy with the finished result. 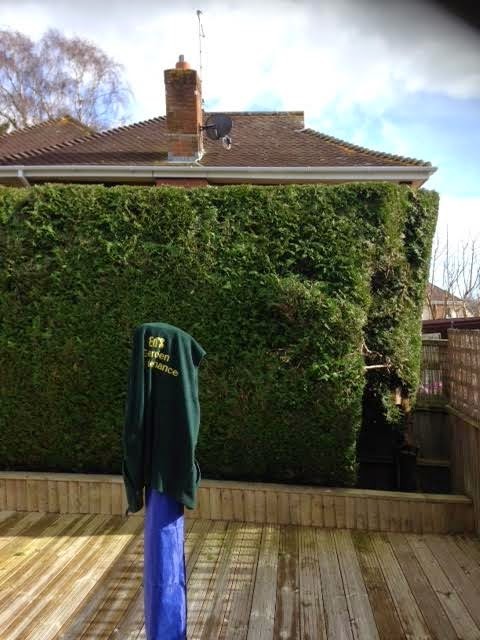 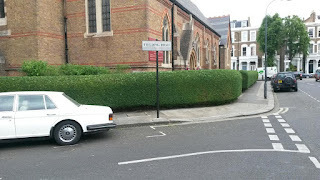 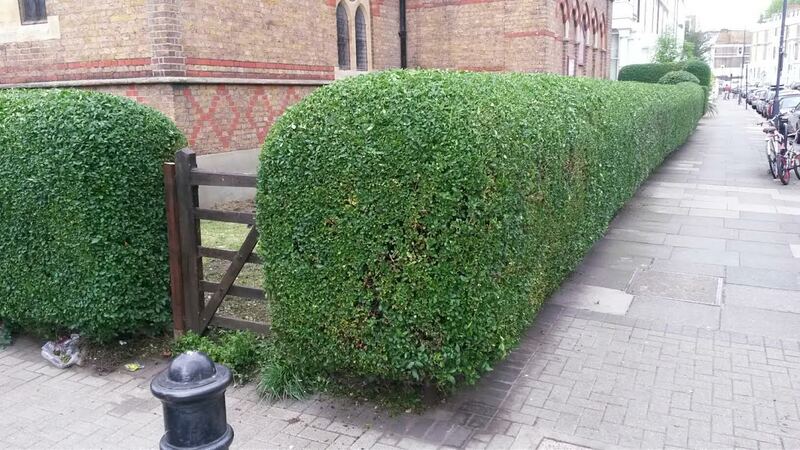 Please contact Ed’s Garden Maintenance if you require a hedge trim. 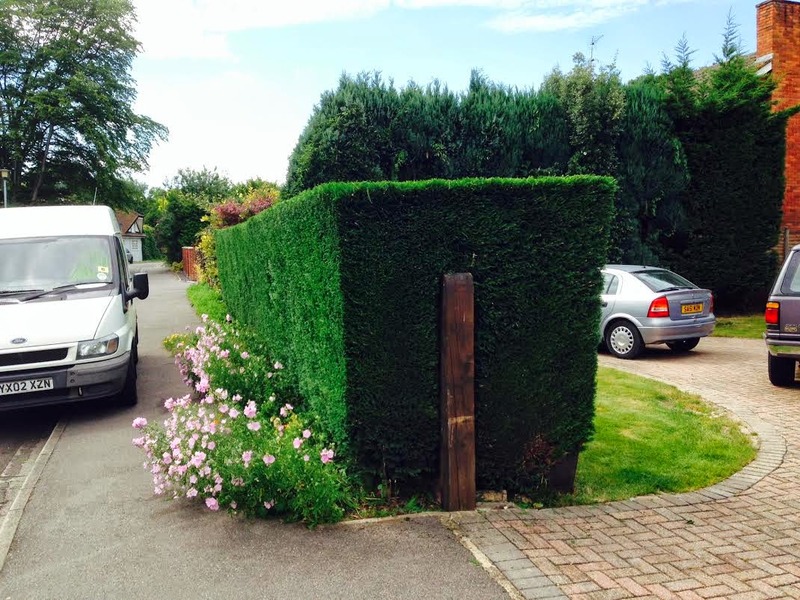 Help the parents are coming round! 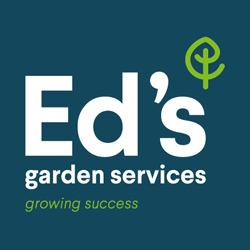 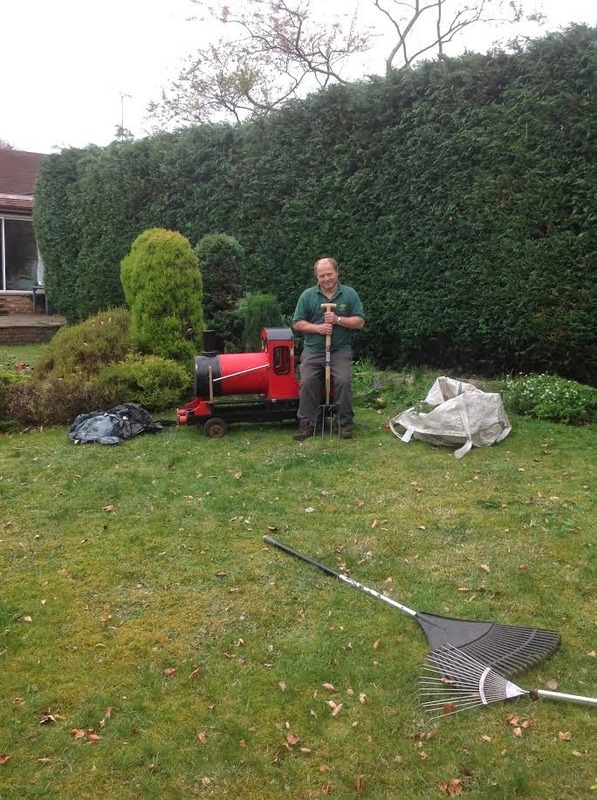 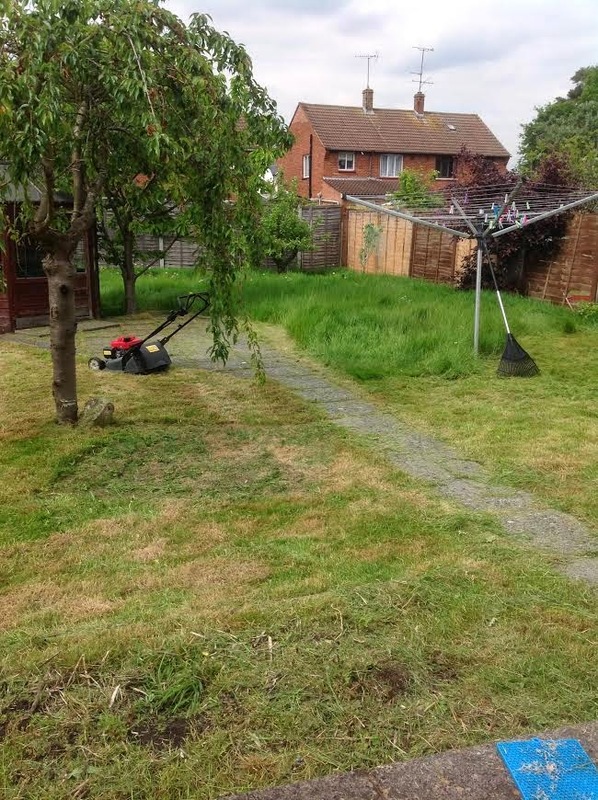 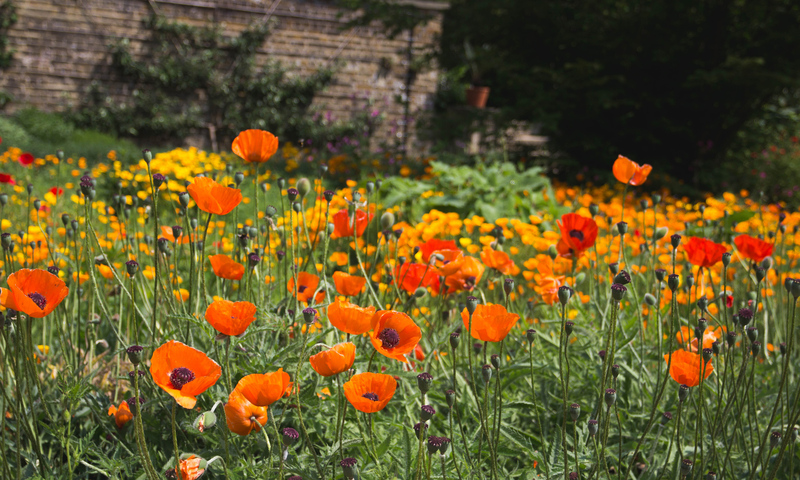 Please contact Ed’s Garden Maintenance if we can help with your garden maintenance requirements, we aim to offer a prompt and reliable service.